THE SHAPE OF THINGS TO COME? Marker’s vision of the future is no less chilling after 45 years. “This is the story of a man marked by an image of his childhood.” So begins Chris Marker’s 1962 elliptical 27-minute time-travel adventure, “La Jetée,” a narrated montage of black-and-white still photographs about a man who leaves his irradiated, post–World War III present and leaps into the past and future, hoping to bring back food and energy that will allow humankind to survive the dark years. He was picked because successful time travel depends on the traveler’s ability to focus on emotionally resonant images—our hero obsesses over memories of a beautiful young woman he glimpsed at an airport on the day that an unidentified stranger was shot dead there by police. When the hero travels into the past, he falls in love with his dream woman; complications, as they say, ensue. If you’ve seen “La Jetée” or Terry Gilliam’s 1996 remake, Twelve Monkeys, you know the film’s final, devastating twist. If not, I won’t spoil it here, except to say that the story ends where it begins and that its plot is a pretext for Marker to examine the impermanence of experience and the fragility—sometimes falsity—of remembered images, the shards we cling to as we journey from abyss to abyss. 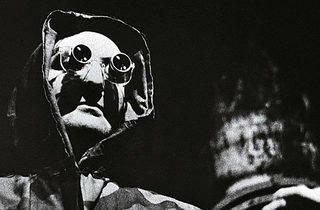 “La Jetée” coheadlines a new DVD from the Criterion Collection that’s an early candidate for disc of the year. Marker’s film has never been available on DVD in North America, and the thematically related 1982 feature with which it has been paired, Sans Soleil, has never been on DVD at all. If Criterion had just released the films with a couple of commentary tracks and called it a day, the package would still be worth owning. Every philosophically inclined Möbius-strip narrative that came after “La Jetée”—from Kurt Vonnegut’s Slaughterhouse-Five to the Terminator trilogy, Somewhere in Time and Lost Highway—is in its debt. Delightfully, the “La Jetée”/Sans Soleil disc is an imaginative tribute to a great filmmaker, conceived in the spirit of his work. For instance, rather than simply interviewing French filmmaker Jean-Pierre Gorin, a contemporary of Marker, and then editing his remarks into a linear documentary, Criterion has laid out the best bits on a full-page menu of onscreen windows that overlap in a more fragmented, free-associative way. (“Cinema is thought,” Gorin says.) The disc also includes two segments from Court-circuit (le magazine), a French TV series about movies. One of them analyzes David Bowie’s 1993 music video “Jump They Say”—a sci-fi trip that borrows many compositions from “La Jetée”–and playfully suggests that Bowie, a musical, sexual and technological pioneer, might be a time traveler himself. The other Court-circuit segment insists that “La Jetée” is about Marker’s love of cinema—specifically of Alfred Hitchcock’s Vertigo, a tortured thriller about a detective trying to relive and then remake the past. Marker saw Vertigo 19 times and packed “La Jetée” with scenes and images that echo Hitchcock’s film, including one in which a man and woman inspect the rings in a chopped-down tree, and a profile close-up of the dream woman that mimics a shot of Kim Novak in Vertigo. Indeed, why not? 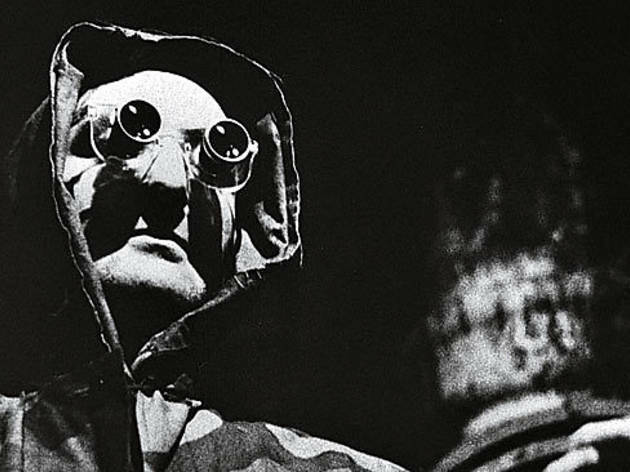 In an interview with Marker included in the disc’s liner notes, the reclusive director describes “La Jetée” as a instinctive work, rather than a premeditated attempt to confront his obsessions. “Since it was made like a piece of automatic writing, I’d have a hard time taking credit for it,” he says. “It just happened, that’s all.” An image marks a man, and the man must tell a story.